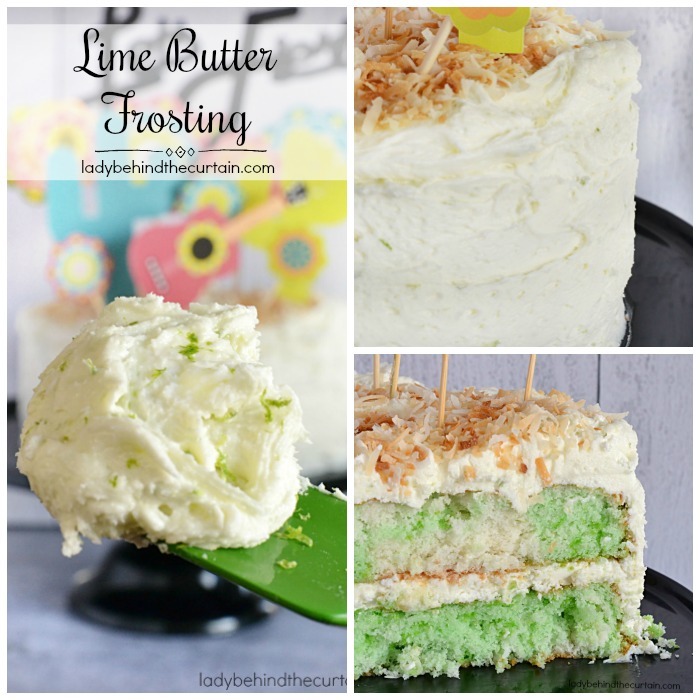 Lime Butter Frosting | Top your cupcakes, sheet cakes and layered cakes with a light and creamy naturally lime flavored frosting. Cake is always better with homemade frosting. Busy schedules call for extreme measures and if that means you need to use a cake mix then please do, but…. please don’t skimp on the frosting! 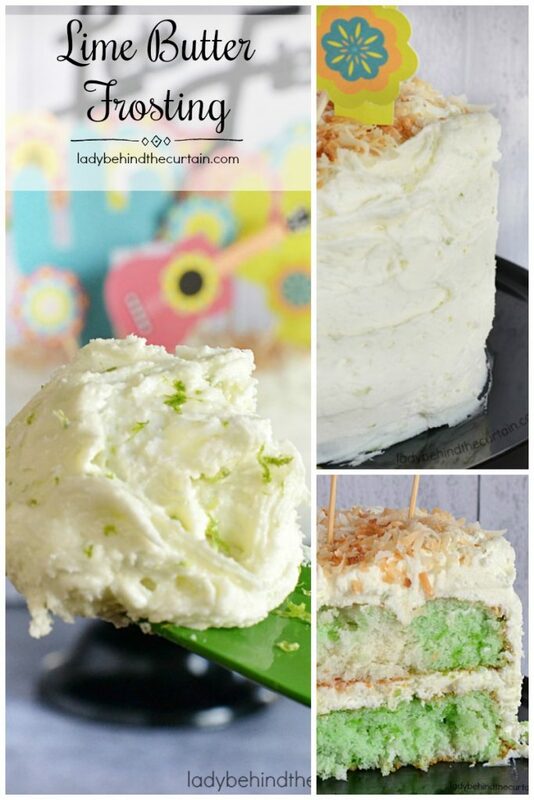 Look below for ways you can still make homemade frosting even with a busy schedule! 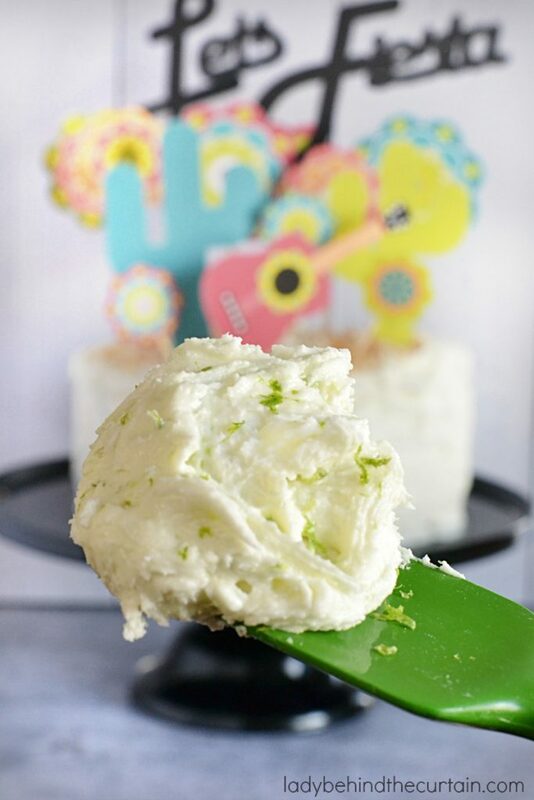 Once you have a good frosting recipe (like this lime butter frosting) you can make all kinds of combinations. 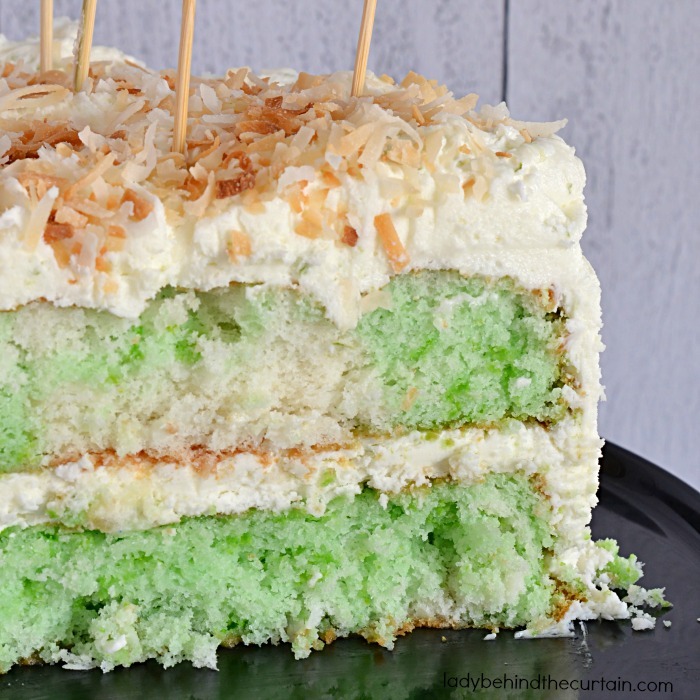 Like….white cake and lime jello marble cake, coconut lime cake, coconut cake or just plain white cake. I’m a frosting girl….always have been. So for me, having a delicious pile of frosting on top of a cupcake is all that matters! As long as the frosting is homemade you can skimp on the cupcake and use a cake mix! There’s no denying that the canned frosting can’t even come close to homemade. Frostings that are made with shortening can be stored at room temperature in an air tight container on the counter up to 2 weeks. Frostings with butter and milk should be stored in the refrigerator with an air tight lid up to 2 weeks or freezer up to 3 months. That’s it! It’s really not as hard as you might think. I love making cupcakes and cake from scratch, but if you find yourself in a time crunch or you don’t feel like messing with making the cupcakes or cake and the frosting from scratch. PLEASE make the frosting! 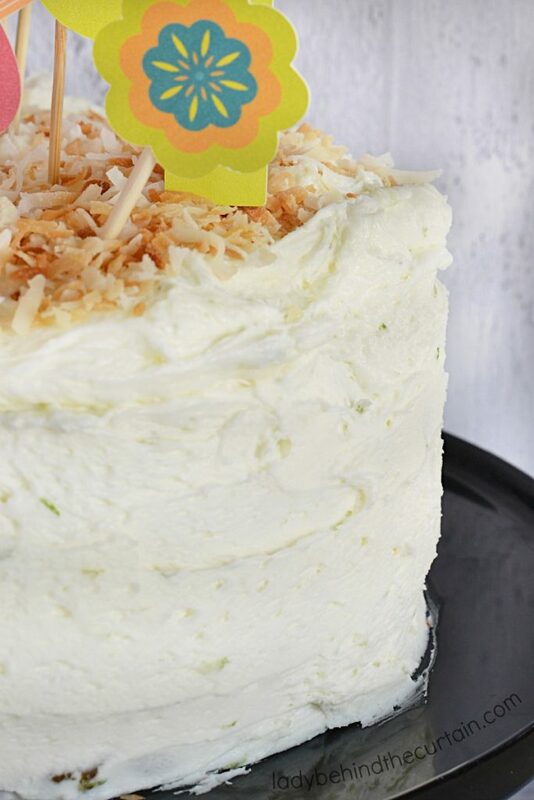 You can add things to a cake mix to help with the flavor but there’s just nothing like homemade frosting. Click here for ideas on how you can transform a cake mix—->>>>22 WAYS TO MAKE A CAKE MIX TASTE LIKE HOMEMADE. In a large mixing bowl; beat the butter and lime zest until smooth (about 3 minutes). Gradually add powdered sugar (1 cup at a time) to the butter mixture. Slowly beat in the milk and lime juice. Turn mixer on medium high and continue to mix for an additional 3 minutes. This will incorporate air into your frosting and produce a light and fluffy texture. More frosting recipes you might like. 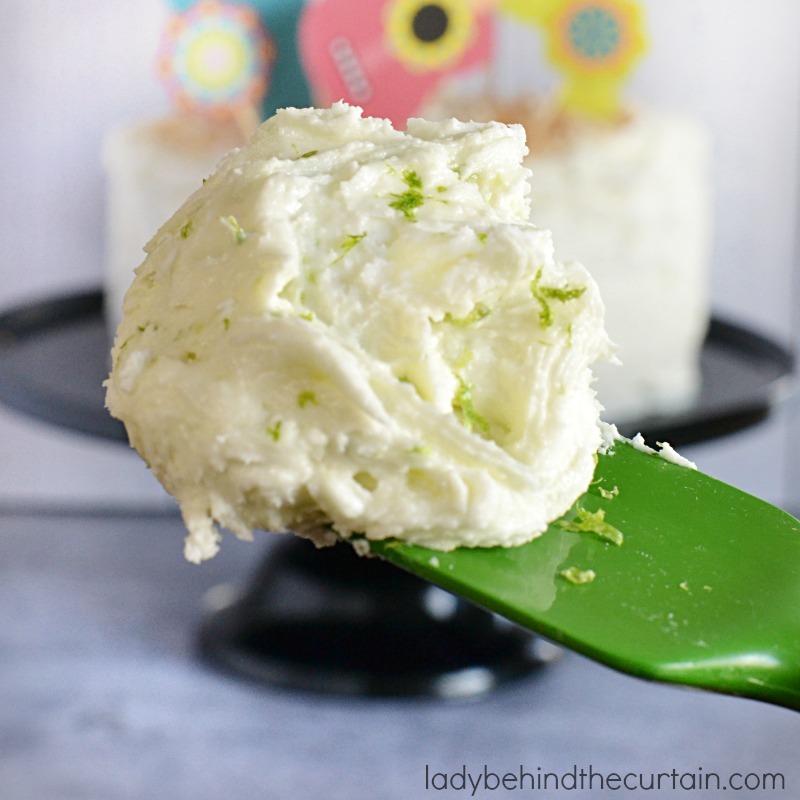 CLASSIC VANILLA BUTTERCREAM FROSTING RECIPE and LEMON BUTTERCREAM FROSTING RECIPE.